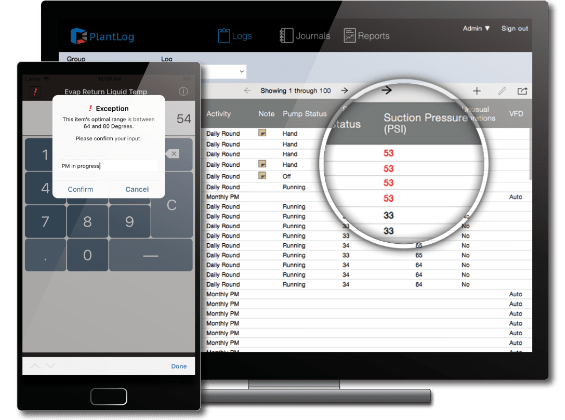 Design a complete O&M logging system for your facility that ensures accuracy, pinpoints abnormal conditions and reduces man hours by as much as 70%. Establish operator routes with assets to be checked during rounds and inspections. 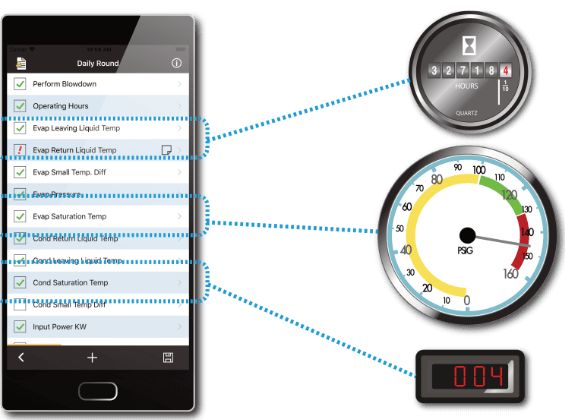 Record meter readings, observations, and completed tasks without the need for WiFi or cellular connectivity. Reduce human errors during data collection and ensure data completeness. 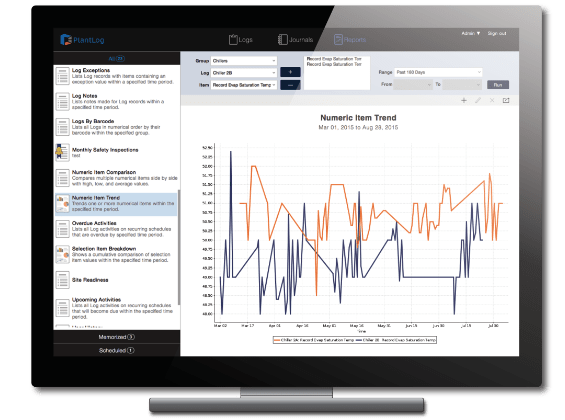 View recent historical data to trend overall asset conditions. Set up schedules to recur on specific times or dates or set an interval from the last time the activity was performed. Filter your to-do list by which activities are currently due. Reports indicate which scheduled activities are approaching and those that are past due. Specify optimal ranges for meter readings and other asset statues to document normal data versus exceptional data. User notifications when data entered is an exception with optional instructions on corrective actions that should be taken. All exceptional data appear in red and reports can help locate exceptions based on asset, groupings or time occurred. Accelerate operator rounds by simply scanning a barcode in order to begin data collection. 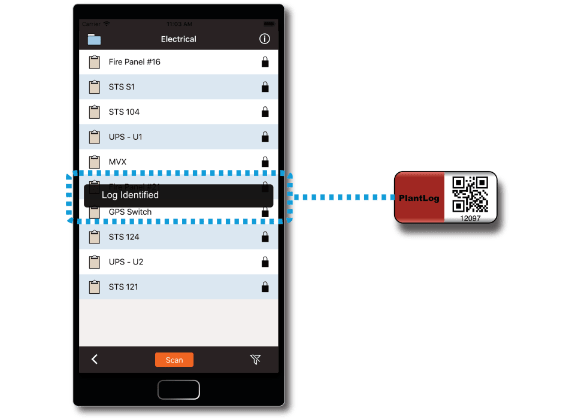 Positive identification by barcode eliminates accidental logging of similar assets. Ensure activities are performed at asset location by mandating the scan of its barcode. 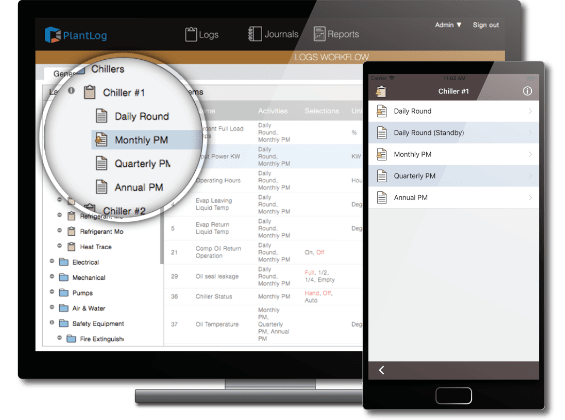 Over 18 standard reports to view your operations & maintenance data. Report settings can be memorized for delivery on a set schedule and sent to your inbox. 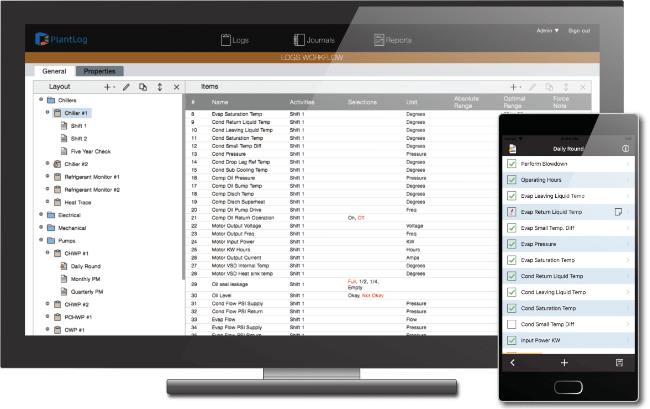 Custom report development available to meet your specific facility requirements. 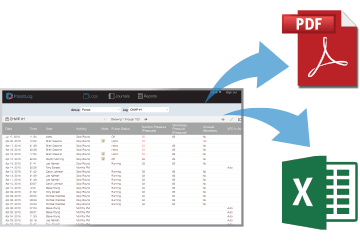 Everything you put into PlantLog can be exported to a Microsoft Excel spreadsheet or Adobe PDF document. We use state of the art technology to maximize stability. Our infrastructure is updated regularly with the latest security patches coupled with enterprise grade network firewalls and encryption. Never worry about losing data again. Our servers maintain two copies of your data at all times across different geographical regions. We also make nightly backups and retain them for 30 days. All customers receive phone and email support during normal business hours. We are also happy to provide assistance with initial setup and configuration as well as ongoing training for your team.